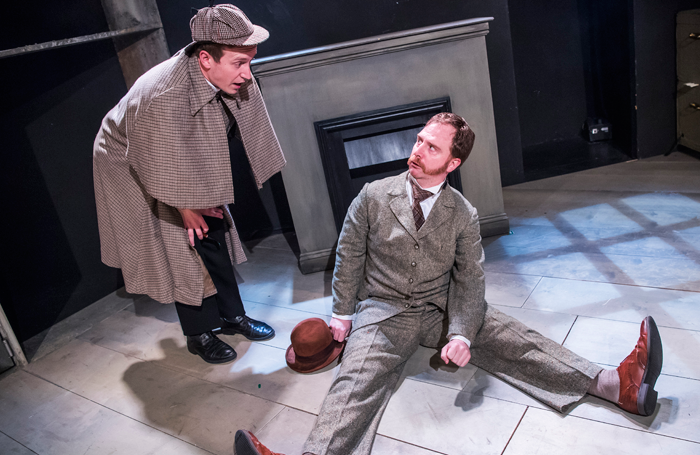 In his memoirs, Arthur Conan Doyle expressed regret for not granting Dr Watson any sense of humour. 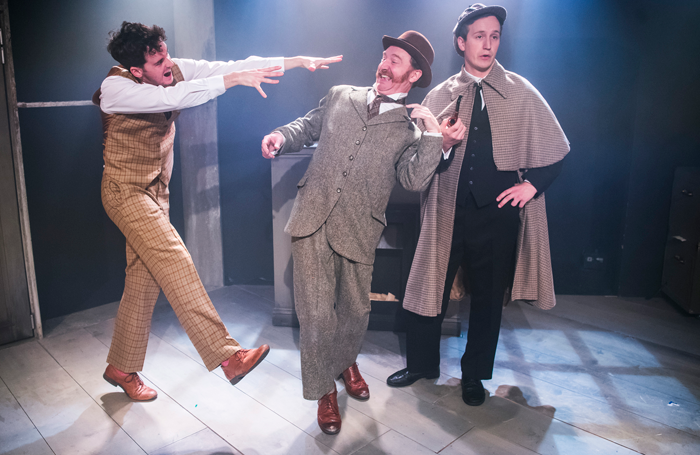 This unabashedly comic adaptation of The Hound of the Baskervilles (written by Steven Canny and John Nicholson for Peepolykus in 2007) might make amends for such an oversight, offering all the froth and frolics of the festive season without the gaudier excesses such entertainments can be prone to. Lotte Wakeham’s production is a masterclass in madcap energy, in which Holmes and Watson bravely face the supernatural (and the challenges of country life), to discover whether Sir Charles Baskerville really was killed by the outsized hound allegedly haunting his family for generations. 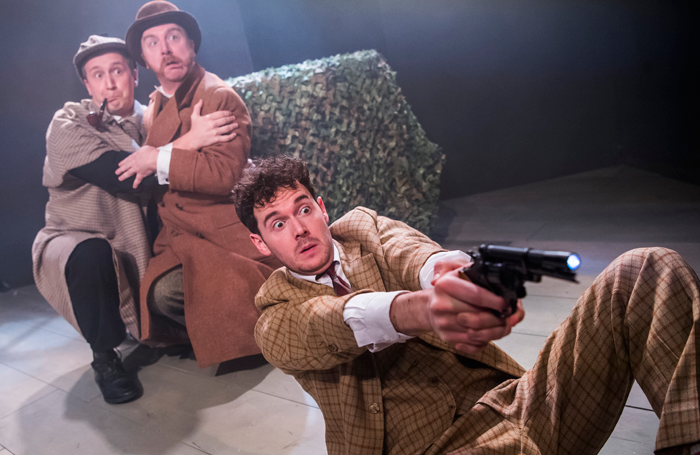 The ensuing capers manage to stay on the right side of meta-theatrical indulgence, with the breaking of the fourth wall employed most sublimely in a frantic recap of the first half. 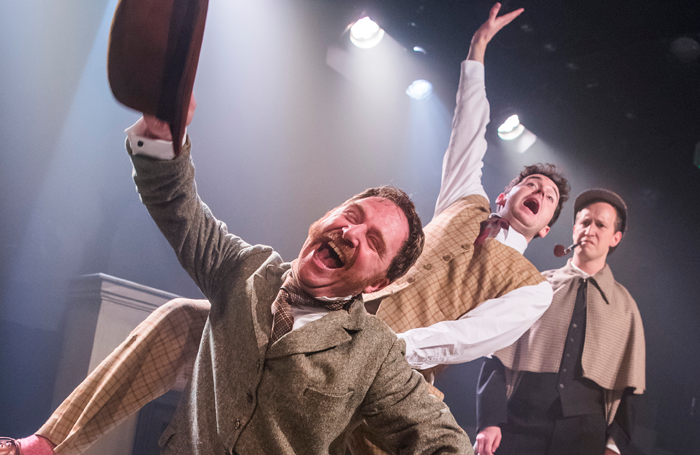 The trio of actors play 14 roles between them, showcasing dedicated teamwork and a shared talent for physical comedy. Max Hutchinson makes a youthful and sardonic Holmes, as well as providing a dizzying display of other characters. 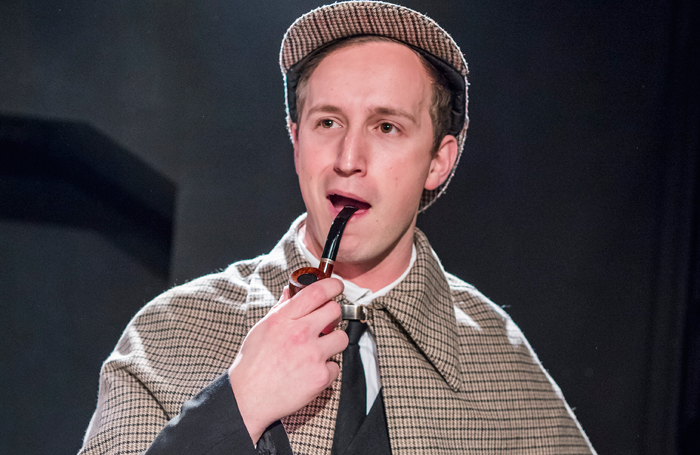 Simon Kane makes an endearingly bumbling Watson, ultimately deserving of his chance take the lead. Shaun Chambers is also charming as the new Sir Henry Baskerville and can easily be forgiven for his self-confessed inability to manage a Canadian accent. The set is simple and versatile, producing some amusing visual gags. 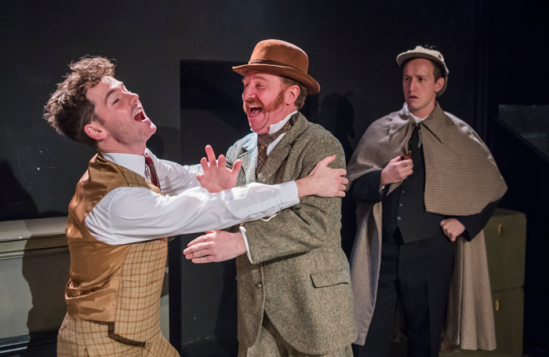 The romance between Sir Henry and the sultry Cecile is given a kick with some impassioned tango dancing – though nothing, it must be said, is quite as adorable as the Holmes/Watson bromance.